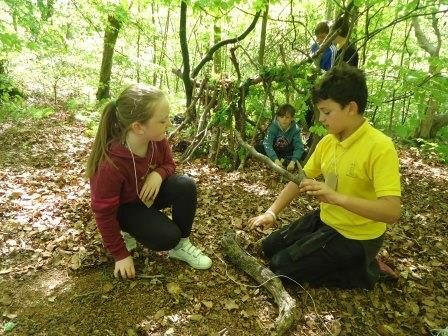 Primary 6 pupils have been finding out what life was like in the Stone Age during a programme of outdoor learning in their local woodlands. The class have been reading Wolf Brother by Michelle Paver, which is a novel set in the Mesolithic Period. 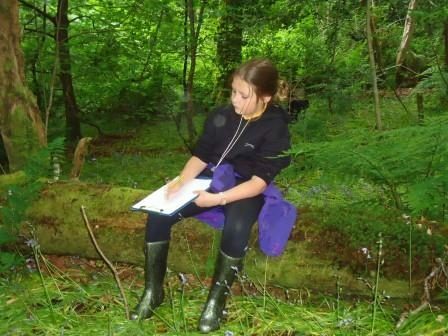 To bring the story to life, they have been visiting Ardenconnel Woods to experience a Stone Age existence. They formed clans, made mud tattoos for their faces and hands, before carrying out a range of tasks. 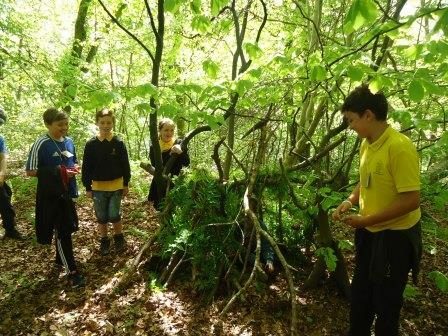 These included: building mini camps, den building, setting tracks and trails, lighting fires, using stones to grind flour and finally, with a slight adjustment to the stone age diet, they toasted marshmallows over an open fire! The whole class have enjoyed their weekly woodland wander and taking the learning outdoors has enabled many of the children to enjoy new experiences and learn new skills.